Heck yeah! Can't wait to see this thread blow up in a few short weeks! After one of the most emotionally draining weeknds of my life I was able to get to the stand Monday afternoon for my first sit of the season. After sending a few texts, i got out my bood and set back to enjoy a quiet, relaxing but warm afternoon in the stand. Nice. Are you going to mount him? I got this one in Cherokee County Sunday morning. 62" White Wolf Beowulf Recurve 56lbs @28"
9/15/15 Twiggs co Obsession Evolution Bi-polar 125gr green score 137" should be my 1st PY after the drying period.! 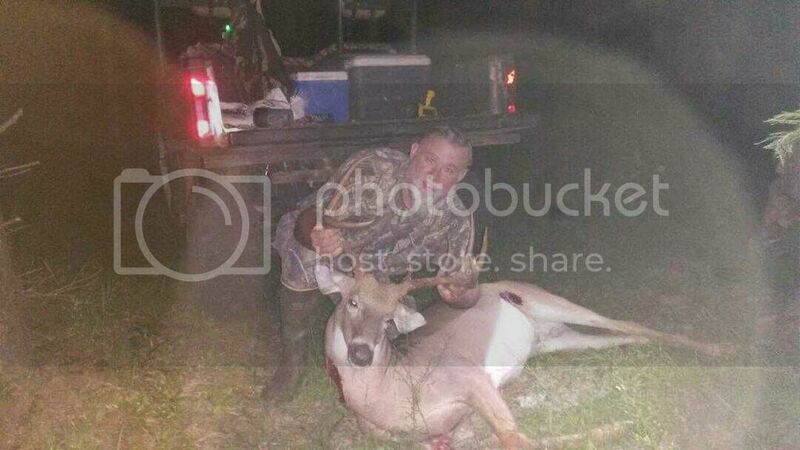 My hunting partner got it done last night on Townsend WMA! 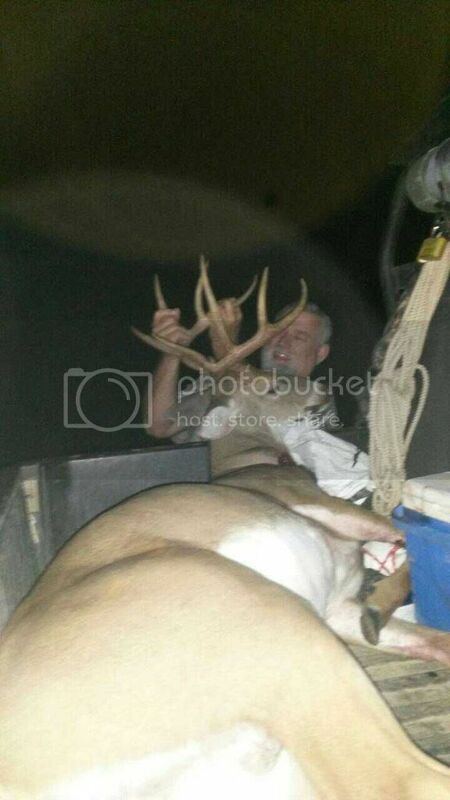 180lbs 8 point 4 yr old buck! Most people search for their hunting buddy, I am raising mine! Some great looking early season deer. Congrats everyone!